How do I unbox and setup an Inventor IIs - Bilby3D? This article will walk you through the process of unboxing and setting up your Inventor IIS - Bilby3D, ready for printing. Please take care and read each step fully before viewing the photos and animations that accompany them. Stable surface to place the printer on once removed from packaging. Step 1:Cut open the box, and remove the smaller accessories box from within the top. Reaching into the side of the box, you should feel a set of handles on the styrofoam pieces. You can use these to lift the printer out of the cardboard box. 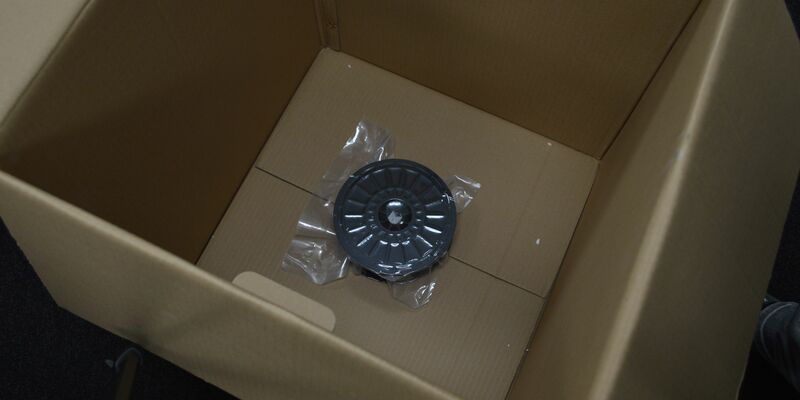 Note: The roll of filament included with the printer is kept at the bottom of the box. Next, slide the styrofoam chunks off from each side. You can then also take the plastic bag off which is secured with three pieces of tape. After moving the Inventor IIS onto a table, lift the large piece of styrofoam vertically out from the top of the printer, and open the door on the front of the printer. Looking inside from the front, you can now remove the lid of the printer by sliding it forward. Be careful of the on-board camera, as the lens is just behind the top left of the front door. Note: this can be a tight fit, so you may need to wiggle it out a bit. You can now remove the small piece of styrofoam from the left hand side. To remove the final piece of styrofoam, you'll need to lift the platform up by hand. This will be stiff at first, but keep applying pressure and you will feel it start moving upwards. You can then slide out the last piece of styrofoam. 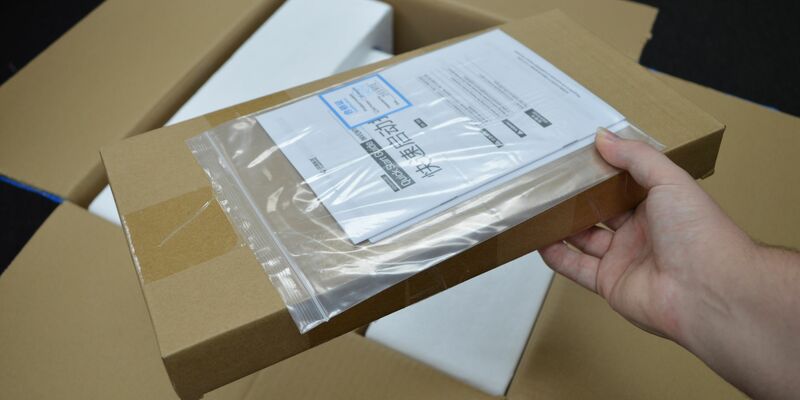 Using scissors, or side cutters you need to cut the 4 zip-ties which hold the mechanism on top together for shipping. Please take care, as there is sensitive wiring next to some of the zip-ties. To continue on, you should now open the accessories box included with the printer and lay everything out of the table. 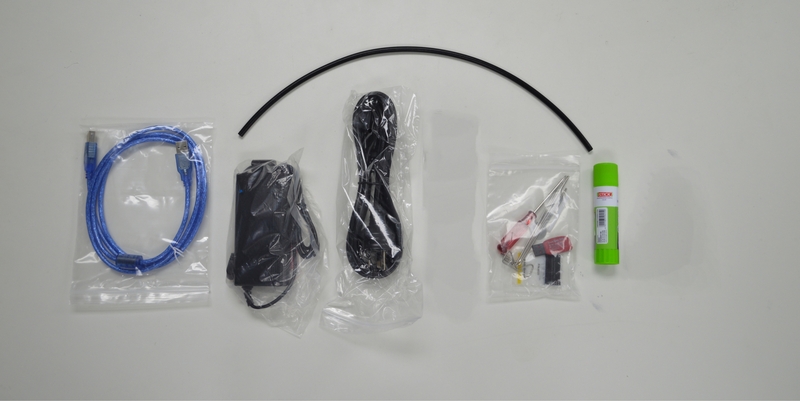 You should have: a USB cable, a power brick, a power cord, a small bag of tools, a glue stick, a filament tube, and a particle filter. Up next is loading filament into the Inventor IIS. 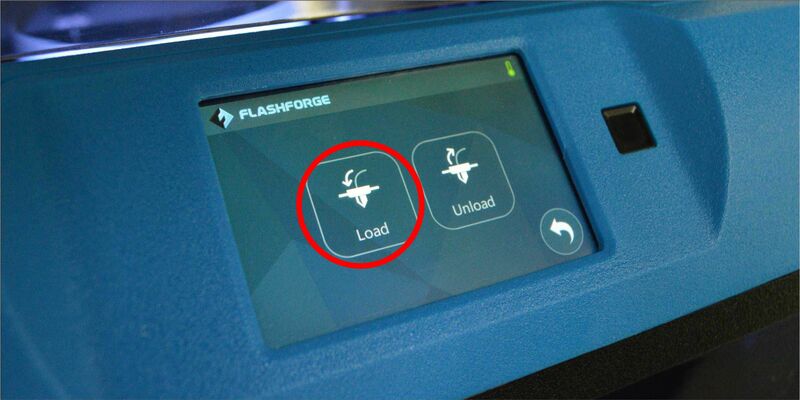 To do this, you first need to remove the filament holder from the back of the printer. grip onto the filament holder, and pull the small lever to release it. Then lift it vertically out of the printer. Insert the filament tube into the top of the filament holder and push it firmly into the black holder. From now on, you shouldn't have to remove the filament tube. 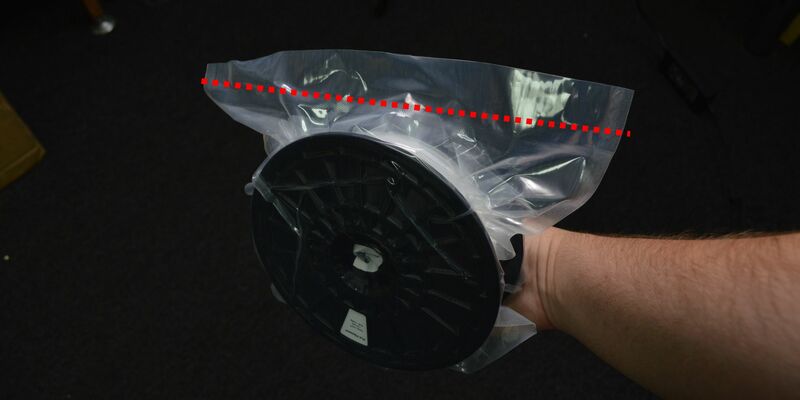 Take your filament and cut neatly along the top edge of the bag. NOTE: Keep the bag and silica gel packet, as you can use it to store the filament away when not in use for more than a week. Unhook the filament from the edge of the roll and DO NOT let go of the end until you've installed it into the filament holder. Cut off any crooked pieces of filament, and feed the straight end into the filament tube from the inside of the filament holder. Once you see filament come out of the end of the tube, you can slot the filament roll into the filament holder itself. Slide the filament holder vertically back into the printer. 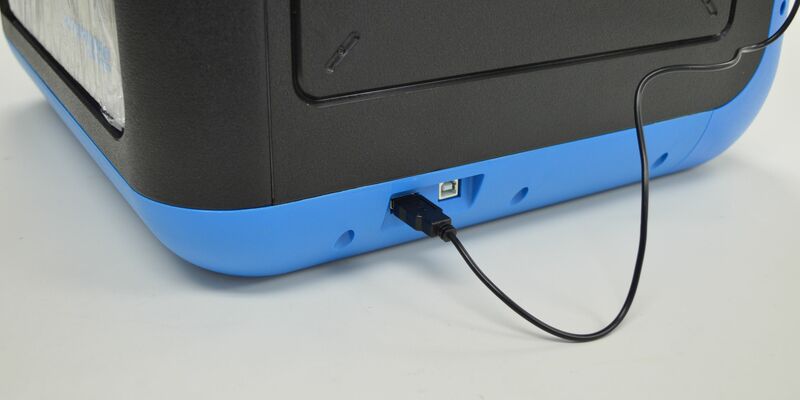 Plug the wall plug into the power brick and switch the printer on at the back. You will notice that nothing happens. Aytime you turn on the printer, it starts in a standby mode. To wake it up, click on the black button next to the LCD screen and it will start up. Because the printers can get knocked around during transit, it's best to perform an 'Extruder Calibration'. You'll generally only need to do this once. 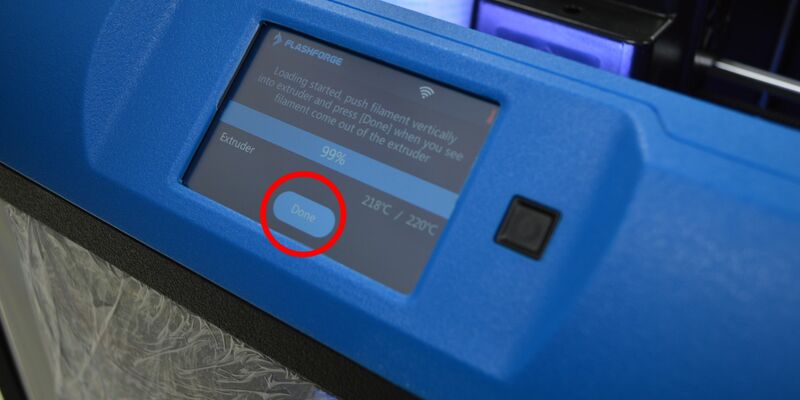 If you already completed the 'Extruder Calibration' and 'Level' in Step 16, please continue past this step. 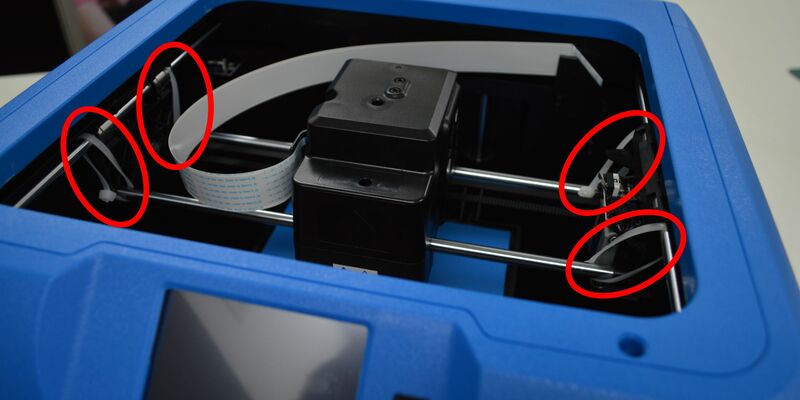 Levelling the platform is required when first receiving a printer, but is only necessary if you notice that the first layer of prints aren't correct. 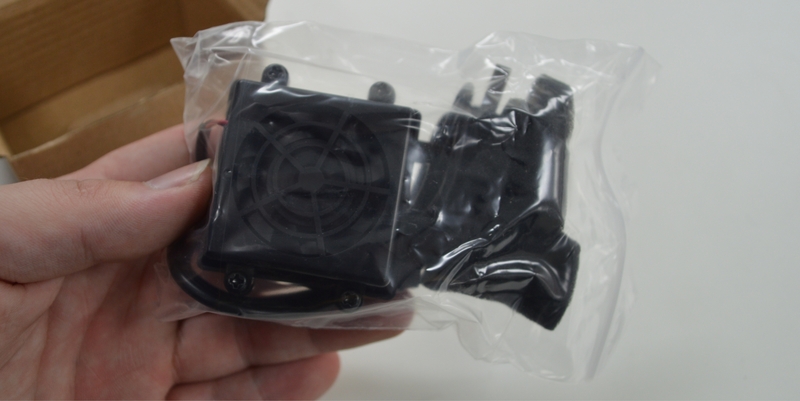 We can now load the filament into the extruder of the Inventor IIS. 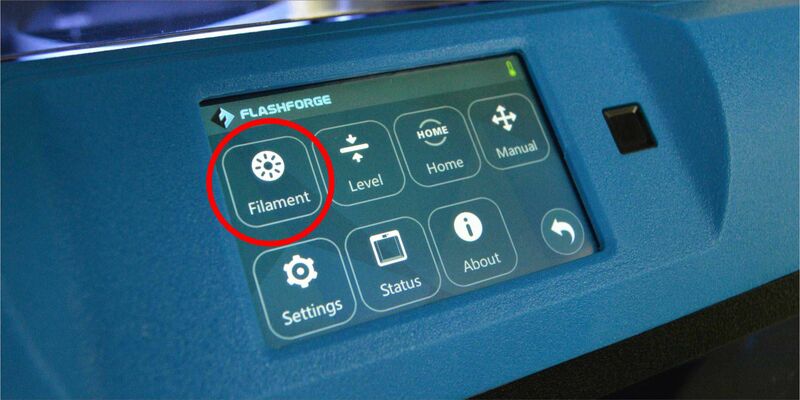 From the Main Menu, navigate 'Tools' > 'Filament' > 'Load'. The screen will then tell you that it's heating up. At this point you should grip the end of the filament protruding from the filament tube. Once you hear a beep and get a prompt saying to insert the filament, firmly push the filament into the top of the extruder until you feel the motor grip it and slowly pull it in. At this point you can let go and the printer will continue feeding the plastic. Once you see filament of your chosen colour coming out of the nozzle, you can click 'Done' and it will stop feeding it through. 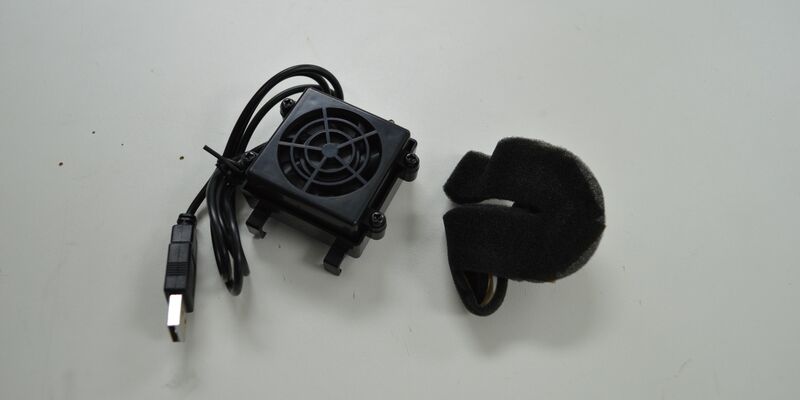 After 5-10 minutes, the nozzle will have cooled and you can remove the filament that has come out of the nozzle. NOTE: If you hear a thudding sound, apply pressure to the filament and it should work it's way through the nozzle. One of the final things to do is to install the tinted lid on the printer. This can be tricky at first, and requires much force at times. At the back of the lid of a cut in the shape of a 'T'. This slot allows the filament tube to pass through easily, allows some flex in the lid, and is also what the particle filter is attached to in the next step. To fit the lid, begin by inserting the front tabs into the top lip around the printer. You then need to very firmly, and evenly, squeeze the back corners together, and slide it down into place. The next thing to do is install the particle filter. 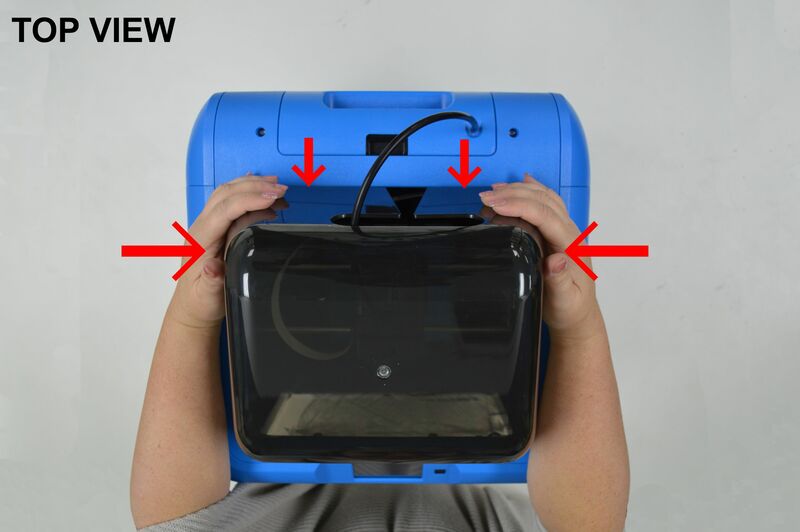 To install it, turn the printer around and slide one side of it onto the back of the tinted lid and shown below. You can then plug the filter into the USB port in the right hand side of the Inventor IIS. NOTE: If you received your Inventor IIS after 3/5/2018, you may discard the foam 'T' insert that comes with your particle filter. The last thing to do in the setup stage is to simply plug the Particle Filter USB cable in and get a computer or laptop ready for the next stage. 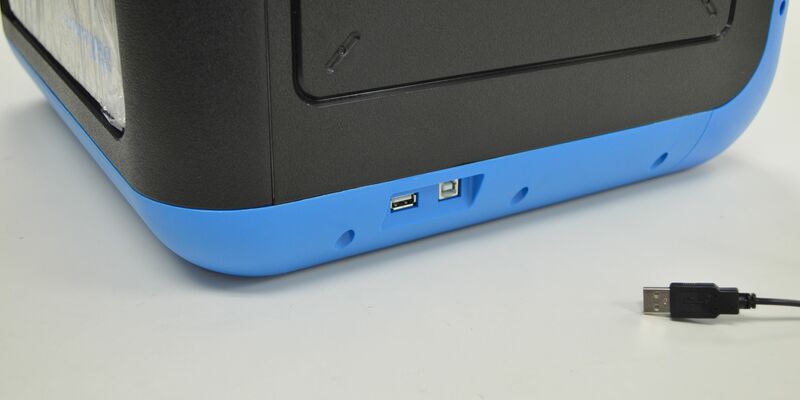 The USB port is located on the right hand side of the printer. Congratulations, you've now completed the unboxing and set up of the Inventor IIS! Next, you'll need to install the appropriate software and then send your first print.